Selecting the appropriate roof for your building is one of the most important decisions you will make when planning your construction project. The roof protects your most valuable assets from the elements and can contribute to lower heating and cooling costs. At GnZ Contractor Solutions, roof systems are all that we do. We are very knowledgeable & educated in all the products/materials that we install. We always find the perfect selection for your property and we have always done it better than the competition. We do not just give you an answer to any of your questions, we will provide each answer with detailed facts to educate you regarding your new roof system. We use only the latest state of the art technologies and employ one the most experienced crews in the state of Texas & Arkansas, so you can feel confident about the installation of your new roofing system. GnZ Contractor Solutions has been installing commercial roofing systems for new construction projects with every material from modified bitumen to TPO to metal coating. With over 20 years of combined roofing & construction experience from our project managers, supervisors to our installation crews, GnZ Contractor Solutions is your best source for your new construction project and roofing system installation. Whether you require a one-time roof repair or the implementation of a recurring preventative maintenance program, you can trust the commercial roofing masters at GnZ Contractor Solutions to get the job done right. GnZ Contractor Solutions maintains a full-time staff devoted to roof maintenance and repair, and provide a 24-hour emergency roof repair service. We remain on call for 24 hours a day, 7 days a week and 365 days a year providing prompt roof repair services to our customers. Our experienced technicians will pin-point the source of any roof problems and repair them immediately. We always suggest any preventative maintenance options that are available. These options extend the life of your commercial roof. The process of a total roof replacement is in some ways more challenging than installing new-constuction type roofing systems. Every building is unique, each one has its own obstacles to overcome. Thats why the experts at GnZ Contractor Solutions the best option for your roof replacement needs. Our highly skilled crews have installed every type of roof system and properly understand how each individual construction process is carried out. The ability to identify the problem and implement the correct solution is what sets us apart from the rest. In an emergency replacement situation, GnZ Contractor Solutions can apply a temporary solution that will protect your building, providing you with time to formulate the appropriate roof replacement plan. 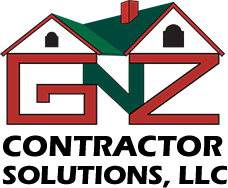 GnZ Contractor Solutions offers inspections by request or on a yearly basis. For roof inspections, we send out a qualified inspector to perform a comprehensive roof analysis. Each roof is then given a score and is photographed. A detailed inspection report is then filed to highlight any defects found. We will then review all of the information gathered and formulate the necessary roof plan of action to address any roof vulnerabilities. GnZ Contractor Solutions can provide Auto CAD drawings and many further construction details as a convenience to our customer. Digital and thermal imaging can also be used to detect pockets of moisture and deck corrosion. This type of inspection makes use of noninvasive/nondestructive techniques to determine additional options for repair or replacement. Our professional commercial roofing technicians will analyze old core compositions, check for adequate drainage, assess flashing heights and perform tests for detecting asbestos. Whether it is for construction plan budgeting, annual inspection preparation, roof replacement expenses or repair work, GnZ Contractor Solutions can provide a detailed roof analysis for our customers. 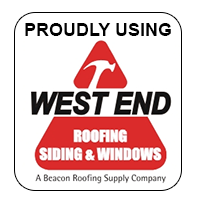 With over 20 years of commercial roofing experience, We are the best source for any roof inspections that you may need. GnZ Contractor Solutions is always ready to help. We specialize in large multi-family commercial properties and we are one of the few roofing contractors that are able to travel nationwide and replace roofing on large commercial resorts & timeshare properties. Our expert crews are able to travel to remote & mountainous resort locations and logistically handle large projects. All of this can be done while guests are staying on the property. We always minimize guest disruptions and make sure that your business operations continue to run smoothly throughout the entire project. We arrive on site, set up our equipment, coordinate material removal & delivery, and will complete the project in minimal time with our large specialized crews. Not very many contractors are able to do that! It takes a large amount of planning & coordinating with all parties involved to be able to fulfill that kind of commitment while also being able to stay under budget and within a given time frame.